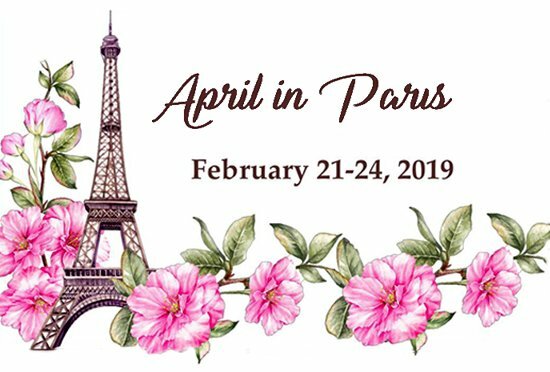 The Federated Garden Clubs of Connecticut, Inc’s (FGCCT) Standard Flower Show “April in Paris” will be held Thursday, February 21 through Sunday, February 24, 2019 at the Connecticut Convention Center on 100 Columbus Blvd. in Hartford. FGCCT’s impressive juried show is part of the “38th Connecticut Flower & Garden Show”. Show hours are: Thursday, Feb. 21 from 10 a.m. to 7 p.m.; Friday, Feb. 22 from 10 a.m. to 8 p.m.; Saturday, Feb. 23 from 10 a.m. to 8 p.m.; and Sunday, Feb. 24 from 10 a.m. to 5 p.m.
“One of the largest, most prestigious flower shows in New England, the fragrant and colorful Connecticut Flower & Garden Show covers three-acres and offers an expansive variety of creative and practical ideas for house, apartment and condo-dwellers alike,” explains Kristie Gonsalves, the show’s producer. “National TV host and author Mar Jennings, America’s Top Lifestyle Expert, will lead an impressive list of horticulturalists and landscapers who will share their knowledge in over 80 hours of seminars that are free with admission. Speakers include: Roger Swain, TV’s The Man in the Red Suspenders and former host of PBS’ The Victory Garden and HGTV’s People, Places & Plants” (Friday/Saturday); and Mike McGrath, host of the syndicated Public Radio show, “You Bet Your Garden”, and former editor-in-chief of “Organic Gardening” (Thursday/Friday). – At the entrance, a sculpture of illuminated oversized mushrooms, enhanced with various plants and florals by artist Shauna Shane of FentonRiver Studio in Storrs. Admission: $18 Adults; $16 Seniors Age 62 and Over on Thursday/Friday only; $5 Children 5-12; Free under age 5. Admission payment by Cash Only. Group rates for 15 or more people: contact 860-844-8461 or Kristie@northeastexpos.com. Advance tickets are discounted by $2 and must be purchased by February 18 at Connecticut’s: The Garden Barn Nursery & Landscape in Vernon; Moscarrillo’s Garden Shoppe in West Hartford; Natureworks in Northford; and Woodland Gardens in Manchester. For more information, visit www.CTFlowerShow.com or Facebook, or call 860-844-8461.